So...surprise #2...my rock star husband surprised me with a long weekend trip to New Orleans! Our first night there, we were sitting in the hotel bar in the French Quarter and we got a text message saying, "Look behind you." There were Tricia and Eric (surprise #3)!!!! They flew in from San Diego to hang out with us for the weekend and celebrate!!!! Yes, I squealed and YES I nearly suffocated Tricia, Eric and my husband with hugs! I couldn't believe it!!! Turns out they had been in cahoots for months planning this trip! Gosh, I love them!!! We had an absolutely FANTASTIC time!!! This was my first visit to NOLA, and I loved every minute of it! The food, the art, the music, the history----what an incredible city! This thank you card was inspired by the artsy vibe and energy of NOLA! The place is SO alive!!! It really gets into your soul...and fast!!! I would go back there in a heartbeat! I'll be sure to share some photos from our trip in a future post. Thanks for stopping by today! Enjoy the rest of your weekend! Yippee!! I am so glad that you took the time to play this challenge, Lisa! And your rock star hubby sure deserves his STAR status! How awesome is that trip to New Orleans! I absolutely ADORE the swipes of colors and sentiment that you added! It's so soothing and lovely! The black frame really showcased this design beautifully! 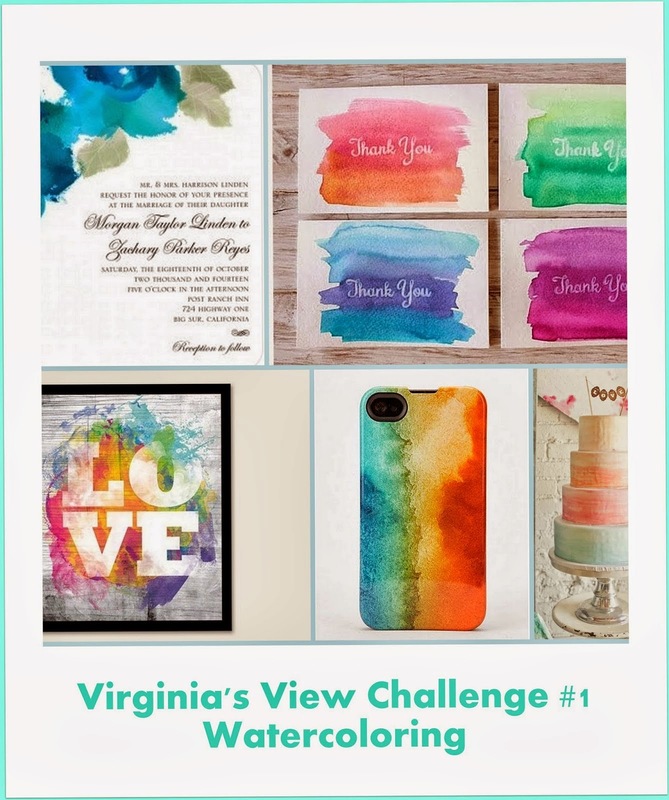 Thanks SO much for linking to Virginia's View Challenge! This is absolutely GORGEOUS, Lisa!!! You did a wonderful job with the watercolor, such a striking, bold card!! GREAT card Lisa!! Sounds like a very special birthday, can't wait for surprise #1! yahooo for a fun birthday weekend! This card is so fun, don't you love watercoloring?!! Oh my goodness--what an incredible birthday! 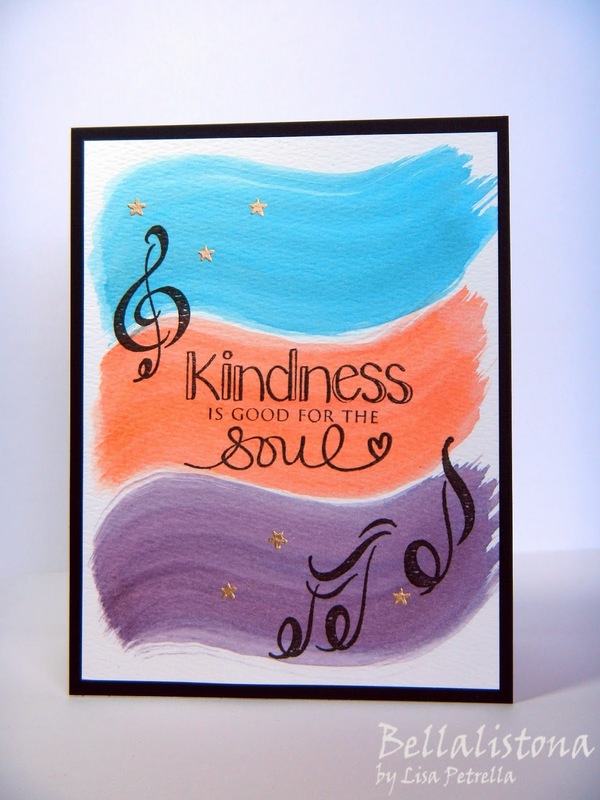 It's not fair you can make such a fabulous card your first try using watercoloring! Your friends will love it!